"I'd definitely recommend this place to people!" "Overall, 5 stars no doubt!!" "The actual treatment is clean, professional, speedy, and almost painless." "Definitely give this place a try and see for yourself cause you won't be disappointed." Dr. Bradley Hulten, M.D. and his highly trained staff at Chicago Skin Solutions provide personalized, safe and effective nonsurgical skin treatments in Chicago’s West Loop using the most advanced technology to enhance the look and feel of your skin. Patients have access services including Botox®, chemical peels, scar removal, dermal fillers, facials, Kybella®, laser hair removal, and microdermabrasion. At Chicago Skin Solutions, Dr. Hulten offers many non-invasive anti-aging procedures. Dr. Hulten uses the latest technology to help patients enhance the look and feel of their skin and their overall appearance. 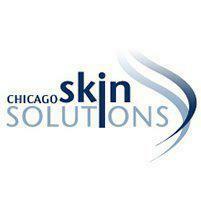 Additionally, Chicago Skin Solutions offers several cosmeceutical skin care lines to correct a variety of skin conditions and concerns. By providing access to both medical and anti-aging treatments our patients can have the comfort of knowing we are truly working to make them look their best. Our office proudly offers a full line of SkinCeuticals products. Checkout the products with before and after photos here! "The staff here is super friendly and accommodating. I appreciate how quickly they provide service and the office is clean and comfortable!" "I've been coming here for just over 6 months for laser services and I have nothing but wonderful things to say. " "I will always come back here for touch ups & any other service I may need! The place is very clean. Everyone is very professional & the service has been excellent!!" "Can't state how happy I am I chose this place for my laser hair removal treatment. The staff is awesome." "I had a really great experience here. Friendly staff."